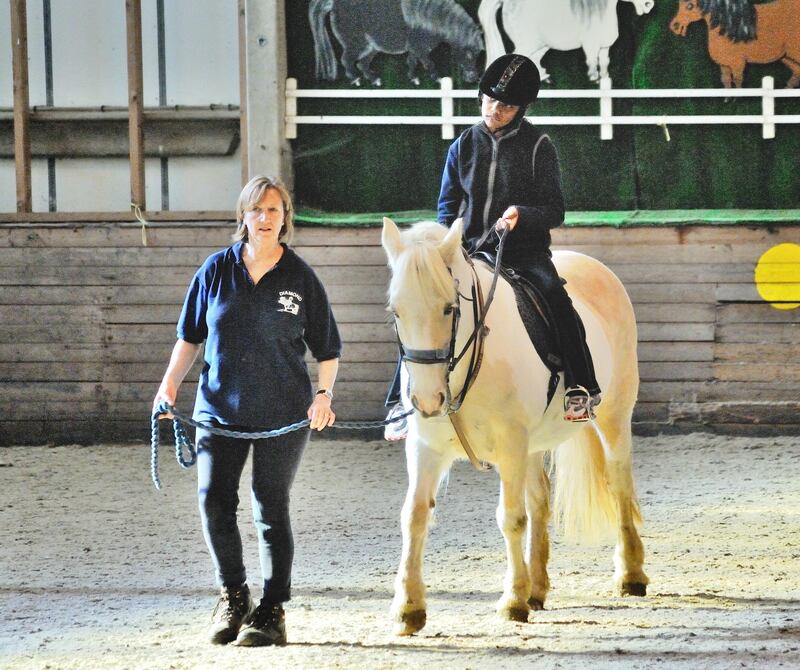 The Diamond Centre for Disabled Riders is a registered charity, which provides facilities to benefit disabled children and adults by having regular contact with horses. 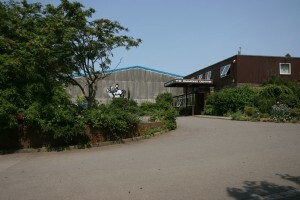 The Diamond Centre is a unique establishment for riding for the disabled and is known and respected world-wide. 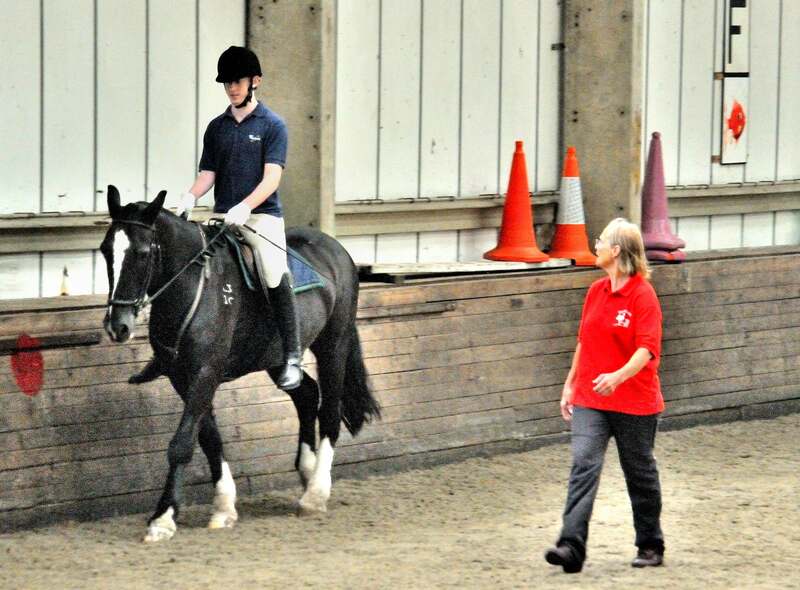 We are the only Centre of its kind in the London Region specialising in all fields of riding for the disabled including; dressage, carriage driving, vaulting and hippotherapy. Our riders are aged between 4 and 65 years old and each week, with the assistance of our instructors and helpers, they can enjoy the experience of riding, driving or vaulting. An experience which gives them the chance to be independent, a sense of achievement – and puts smiles on their faces! It costs more than £300,000 each year just to run the Centre – and this doesn’t include the additional costs which occur such as replacing equipment, fences, horses and ensuring our buildings remain in good condition. We receive no financial support from the government or local authority and we rely solely on fees, donations, bequests and fundraising events in order to survive. In May 2004 we celebrated our 30th Birthday with a visit from HRH The Princess Royal, who is President of the Riding for the Disabled Association. The Diamond Centre’s Trustees are looking forward to the next 30 years and planning to ensure that the future of The Diamond Centre is secure so that disabled children and adults will continue to enjoy the benefits of our special facilities. The Diamond Centre’s success hinges on its excellent team of volunteer instructors and helpers – without them we could not operate. In 2000 we won the Sport England Volunteer Investment Programme Award – an award for excellence in training, organising, retaining and rewarding volunteers. In June 2009 we were given The Queen’s Award for Voluntary Service. 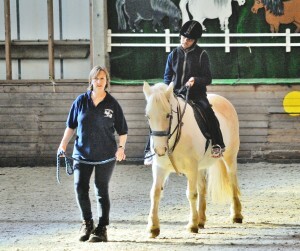 Many of our volunteers start with no previous experience of horses or the disabled. They come from all walks of life – and are all ages. Some help at The Diamond for a couple of hours each week and some for a couple of days. For those who would prefer not to work with horses, help is always needed to run the servery selling cups of tea etc. or maintaining the gardens. If you would like to become a volunteer please call us on +44 (0) 20 8643 7764 or contact us.